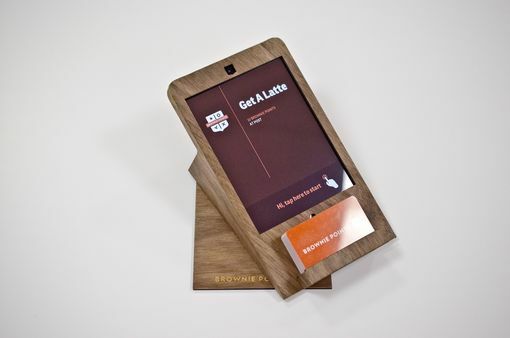 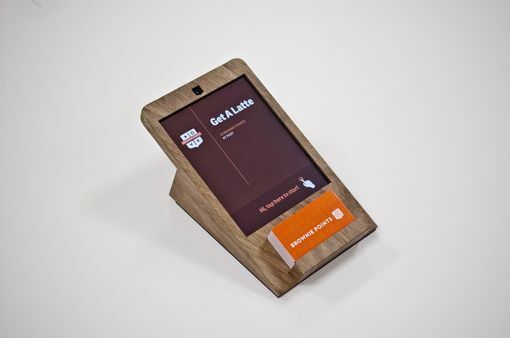 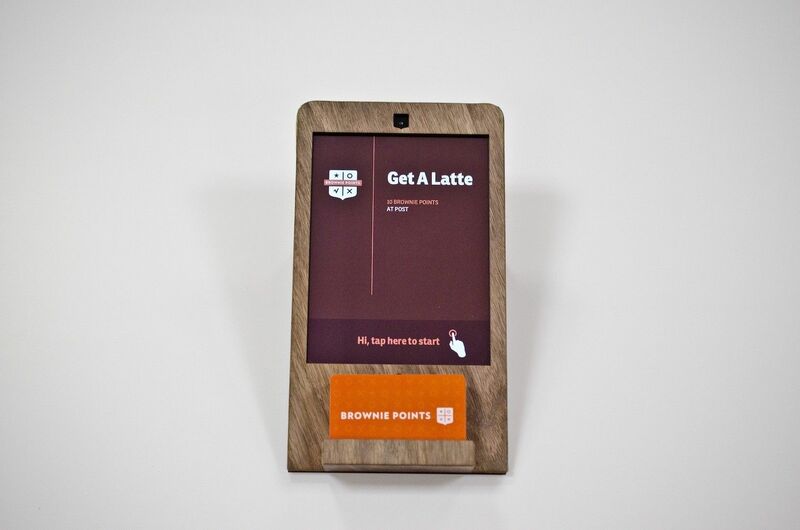 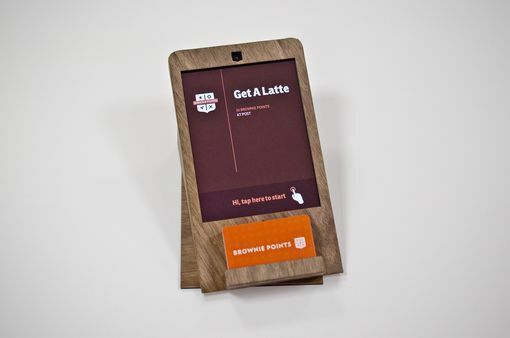 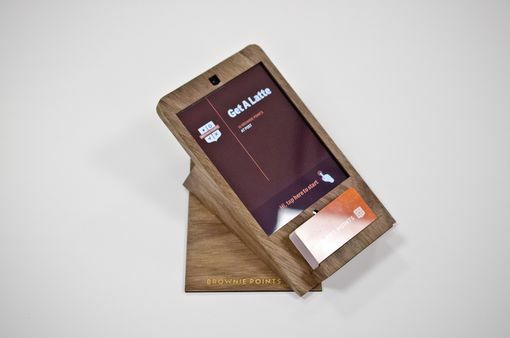 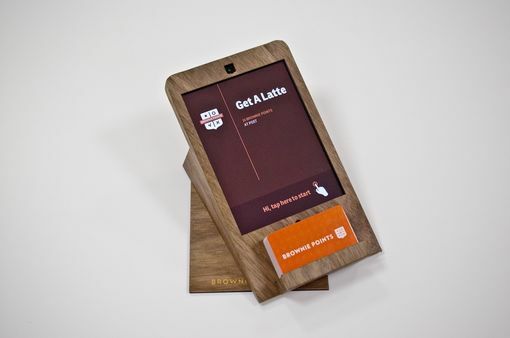 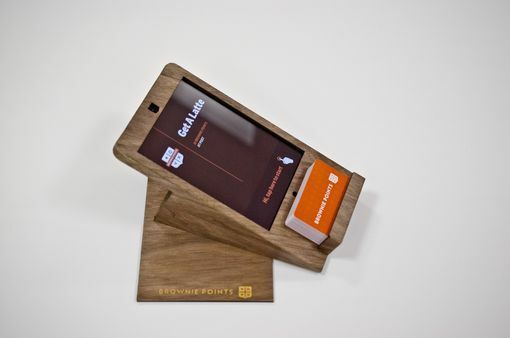 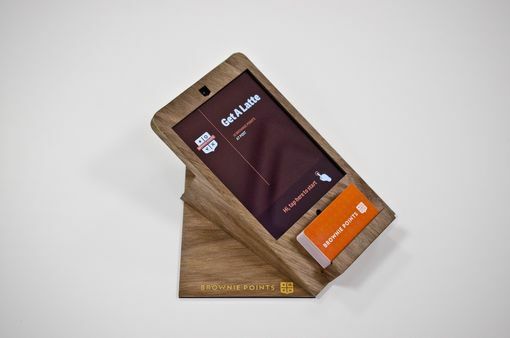 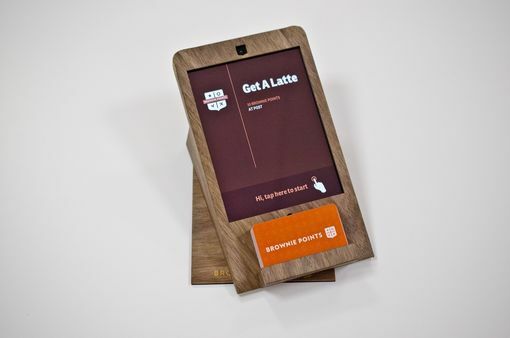 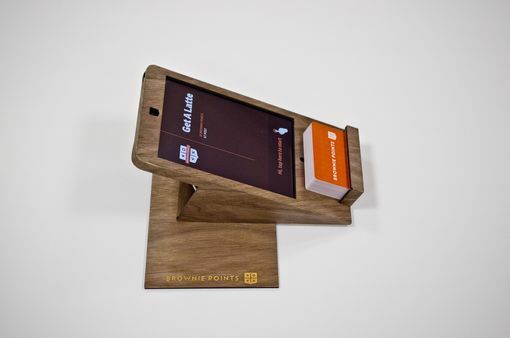 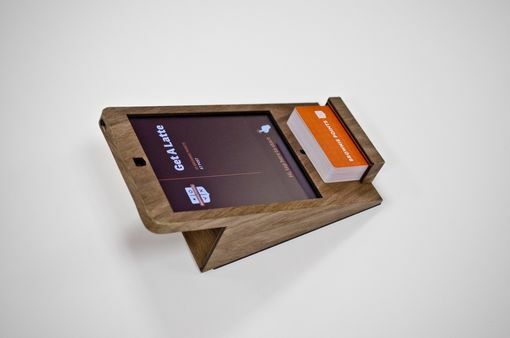 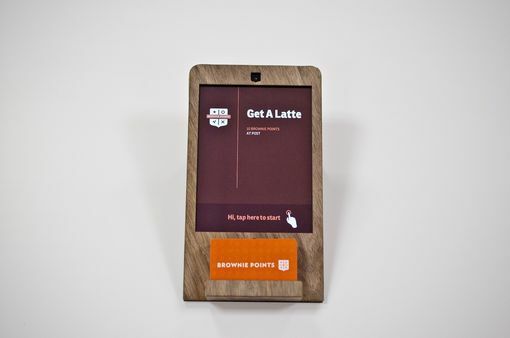 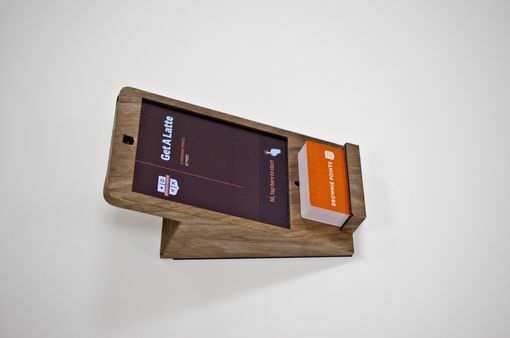 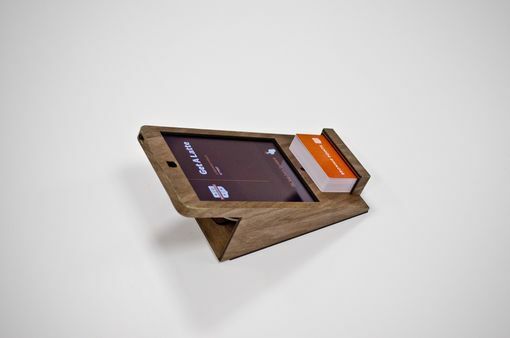 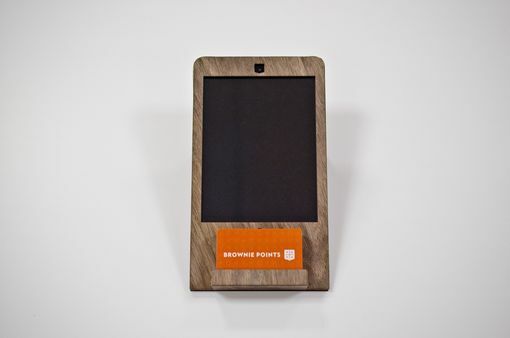 Designed and produced for a new loyalty rewards company, this stand is designed to permanently hold an iPad Mini at an angle to scan QR codes. 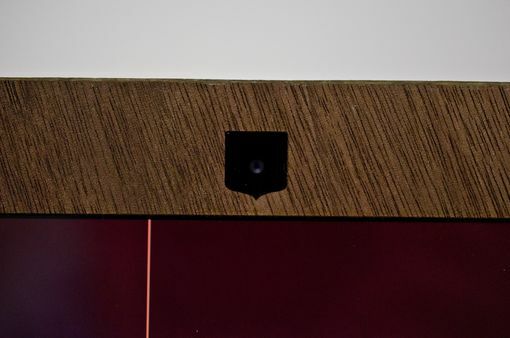 The base is secured to the table and the stand swivels 360 degrees for easy viewing. 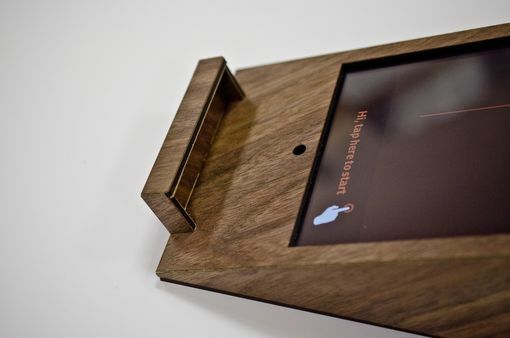 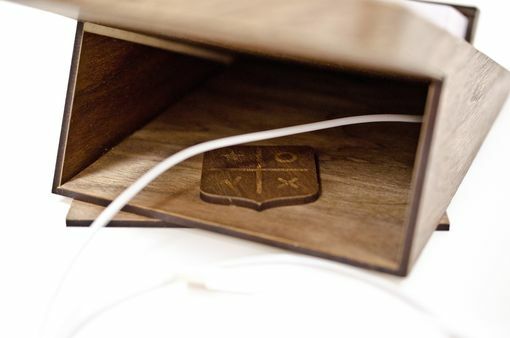 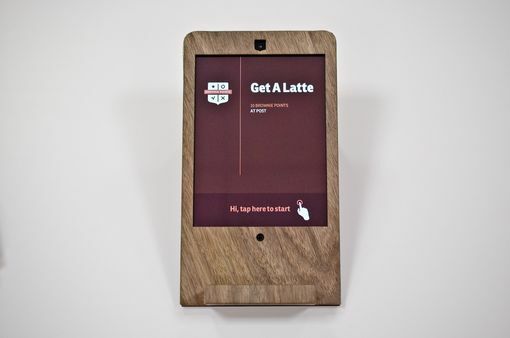 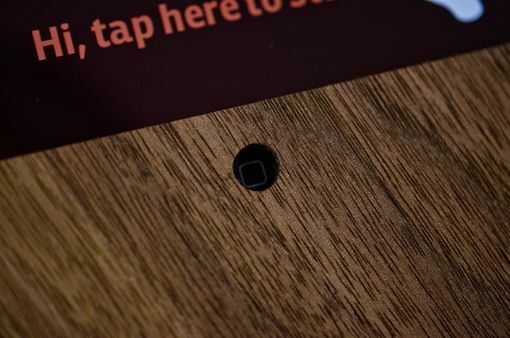 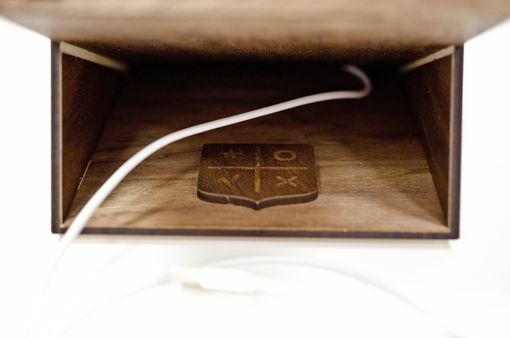 Made from MDF with Walnut veneer.